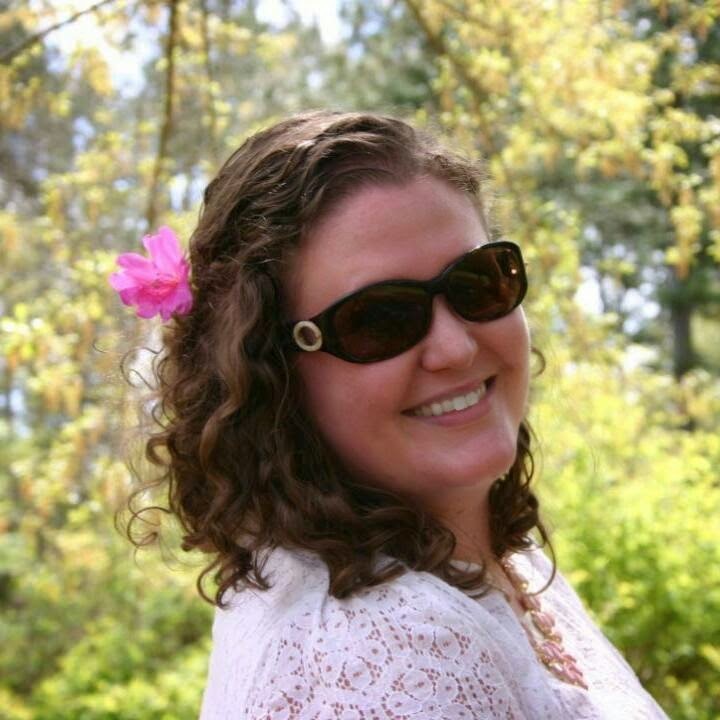 Sarah McCoy talks about The Mapmaker's Children, shillyshallying obsessions and what to wear for our Bookcourt event! I can't remember when I met Sarah, but perhaps that's because I feel as if we've always known each other, that we were troublemakers in kindergarten together, that we both bought our first grownup dresses in junior high, that we celebrated each other's first published novel. But it didn't happen that way. Needless to say, Sarah is one of my favorite people and writers on the planet, and I keep trying to convince her to move next door. 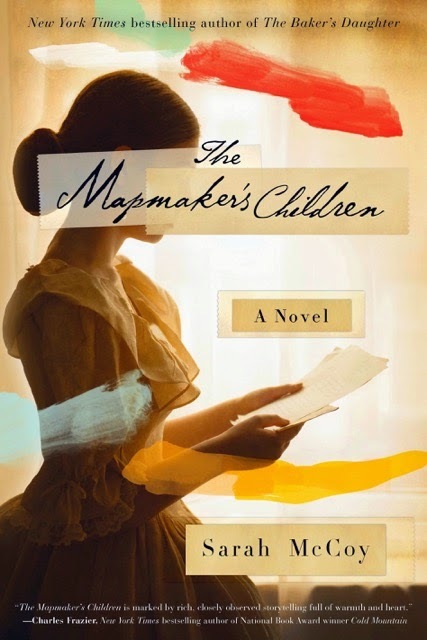 The Mapmakers Children, like all of Sarah's book, is literate, moving, and is also an unforgettable piece of history. I'm so honored to host her here! Thank you, Sarah! Get a preview of coming attractions: Sarah and I goof around on YouTube to promote my interviewing her at BookCourt in Brooklyn on May 11th! You know you want to come! I always want to know what sparks a particular book. What’s the question this book is asking that has been haunting you? What was it about the Underground Railroad that fascinated you so? “A dog is not a child,” the woman, Eden Anderson, kept saying. And it was the way she said it that wouldn’t let me be. Confident, irked, and yet, deeply wounded by the very words she spoke. I couldn’t shush her no matter what I did. Months of hearing this over and over in my head—it could drive a woman batty (if you didn’t think I was already)! So in an effort to cure my insomnia from this parrot haunting, I wrote the sentence and its corresponding scene in the journal. I realized then that the sentence was echoing through and out the front door of an old house—the house in New Charlestown calling me to solve its Underground Railroad secret. A mystery set between Eden in present-day West Virginia and Sarah Brown 150 years ago. To be honest, before then, I was familiar with the Abolitionist Movement by virtue of being a history nerd. The Underground Railroad was a fascinating component, but it wasn’t until Eden and Sarah’s home called me that I became completely absorbed in it. Now, I feel like I see UGRR codes everywhere I turn. It makes the everyday world a terribly exciting place. One of the elements that I so loved in The Mapmaker’s Daughter is the whole notion of how art can save us, how it can be a political force, and how it truly can change lives. Can you talk about this please? It’s funny because, as I mentioned earlier, political agendas haven’t sparked my stories. But somehow, they’re always present. I wholeheartedly agree with you, Caroline. Art is one of the most powerful political forces in humanity. I think that’s the case because it usually originates from a nonpartisan place of expression—and yet! It conveys our most true selves, our beliefs, our passions, our deepest fears and greatest hopes. At its foundation, politics is comprised of people expressing their hearts and minds then taking action. From soldiers protecting the nation to secret movements to free the enslaved, faces may change through time but the core remains the same, the function of art remains the same. It’s this meta-entity that breathes through time and space, catalyzing all in its path, from the individual to the masses, and forever changing the topography of history. This is part of why I felt compelled (to a compulsive degree) to tell Sarah Brown’s story. She wasn’t just one of John Brown’s children. She was an artist! She saved lives; she helped forge a new path for America; she created instruments of world change. Sure, she may not stand in the annals alongside Abraham Lincoln, Frederick Douglass or Ulysses S. Grant, but her role was no less noble, no less affective, no less worthy of being remembered 150 years in the future. It only takes one look at her art and you see the talent and the hunger to reveal her secret thoughts and feelings. In her drawings of her parents: the meticulous detail given to each wrinkle of the brow and curve of hair reveals how much she loved them. In her “Peaches” painting: the blush of the fruit and bounty of the basket whisper of her cravings and her appreciation for the sensual beauty of nature. It’s all right there. Like every good artist, including writers, there are at least three different messages in each line—of words or pigment. Layers for the viewer to decrypt. There are two story lines in your novel, one in the past and one in the present. How difficult was it to structure the novel this way? As I novelist, I consider myself a perpetual student of the craft. I’m sure you’ve experienced the same phenomenon with all your wonderful books, Caroline. I learn so much with each story. From the research and creative process to the editing and revising, writing a novel is like a master class in narrative invention. I come away knowing so much more than I did from the start—so many nuanced techniques and lessons that I didn’t yet know or have a full grasp of utilizing. Writing two story lines in a historical-contemporary hybrid form seems to be my organic way of processing whatever fictional worlds I’m working in. History seen through this kind of Alice in Wonderland looking-glass filter of the present. I wrote that way for The Baker’s Daughter and now again in The Mapmaker’s Children. I’m fascinated by how the people of the past can reach across generations and impact the present; how mysteries of the present have their solutions in the past; how issues we face and decisions we make today are strikingly similar to ones our forbearers made—with good and bad outcomes. I’m riveted by this interplay. That being said, it does not make for an easy write. You know, I casually use the phrase “my Muse” and joke impishly about her fickle devotion. But truthfully, I don’t believe in any Greek deity coming down to clever me in the head with her story ax. That’s not to say I don’t believe in divine inspiration. Au contraire! But do I wait for Le Muse to do anything? Not a minute. She’s too busy fluffing her bouffant and shimmering sunshine on my desert roses. And I’m far too Type-A to rely on that kind of wandering productivity. I love what Ann Patchett said in an interview regarding writing: she compared it to her husband’s occupation as a doctor or any other job. My husband is a surgeon so I related. He can’t wake up and decide he’s just not in the mood to go into the operating room. Whether or not I ‘feel the writing mojo’ is inconsequential. The work remains. Patchett put it perfectly, as she always does: “… if you work, you just work , and sooner or later, you’ll get through it.” So simple, so brilliant, so true. I adhere to that straightforward work ethic. You’re known in the literary community as one of the kindest, most generous, most supportive souls on the planet. With all that you do, how do you stay so grounded and why do you think a community among writers is so, so important? Oh, stuff and nonsense. You, Caroline, hold the royal scepter for Queen of Generosity, and that’s an agreed upon fact in our business. I’m simply honored to be a lady in waiting in your court. Besides, it’s so much easier to be supportive of your fellow writers. Call me lazy perhaps, but I’d rather advocate for hard work and cheer for everyone’s successes. Our writer community grounds me by virtue of its own achievements. I’m daily in awe of the stories my fellow authors create, their fortitude through personal struggles, their talents, and incredible hearts. I’m inspired and bolstered by true friendships like yours. I can’t think of a more significant reason than that. My obsessions shillyshally based on weather, calendar, my dog’s hiccups, and a thousand imagination whims on and off the page. So at this hour, I’m obsessed with tattoos. I have none. I don’t yearn to have one. But I’m completely fixated on the imagery people choose to forever “tatt” on their bodies. There’s a power there that both captivates and terrifies me. I’m drawn to yin-yang, good-evil, light-dark conflicts so here’s another, I guess. What are we going to wear to our Brooklyn event together on May 11? Boots are a crossover fashion must—chic in the 1860s and today! But I don’t think the 2015 New York gentry would approve of pajamas. Maybe if we serve wine and nibbles they won’t notice so much, eh? Want to test-drive brilliant new wines in comfort or at a party? 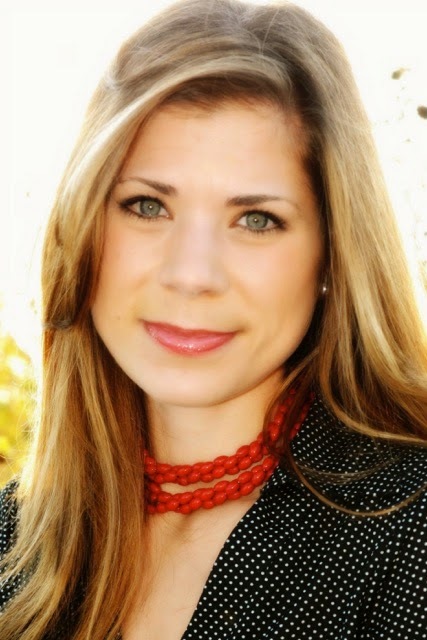 Kelly Bowen talks about her innovative new business, WineShop At Home. For me, going to a wine store makes me want to reach for the Valium. There are so many choices, and half the time, I make the wrong one. Or I stick with the wines I'm already familiar with, and then I realize I'm missing out on some fabulous new possibilities. Kelly Bowen is not only the genius publicity director at Algonquin Books (My publisher! One of my publicists! ), but she's also started this innovative new wine business, WineShop At Home. I'm thrilled to have Kelly here to talk about it--and I admit I have a glass of wine at my desk as I'm typing all this up! Thank you, Kelly! What is Wineshop at Home and how does it work? And how can people get involved? Wineshop at Home is a Napa Valley-based winery that offers its own exclusive, handcrafted limited production wines and in-home tastings with wine consultants. We take all the guesswork and stress out of the wine tasting for the host - the wine consultant leads the tasting, offering information about each wine and fun wine facts, making it a really enjoyable, low key evening for everyone. We want guests to have the freedom and comfort to try wines they’ve never experienced before, and also pair each wine with food to show how the wine changes. This is a wonderful company for all types of wine lovers: people looking for limited edition, artisan wine not available anywhere else, someone looking to create their own wine label for a special occasion (such as corporate gifts or wedding party gifts) and wine lovers who want to host a tasting. And we’re looking for people who like wine and people, and would be interested in pouring wine and making a little extra money as a consultant! I love your tag line (Come for the taste, stay for the lifestyle.) Can you talk about that please? Our goal is simply to provide the best wine lifestyle experience in the world! If you’re like me, you dream about having simple elegant wine parties on the patio, or having your girlfriends over for an evening of conversation and wine, or maybe it’s simply a better appreciation and understanding of wine. We want to seduce you with delicious wine, and then keep you coming back because you love the easy yet sophisticated lifestyle that goes along with ordering our wine. Your website is not only lots of fun, it’s interactive. I did the “Find Your Vinotype” which was shockingly accurate. How do you know what types like what kinds of wine? I’m curious, Caroline, what’s your vinotype?? (Caroline: I'm a sensitive!) Every person is unique with different likes and dislikes, passions and values. And each person reacts and adapts to new experiences differently. All of those factors are incorporated into the “Find the Vinotype” quiz, which helps determine the range and intensity of sensations people experience and how they adapt to the environment, thus helping wine consultants understand their wine preferences. For example, I’m a “sensitive” vinotype out of 4 types: sweet, hyper-sensitive, sensitive, and tolerant. The description is pretty darn accurate and in the wine world it means I’m on the less sensitive end of the spectrum and more open to a broad range of wines and foods. Basically, I’m an equal-opportunity wine drinker. You’re a genius publicist for Algonquin Books, so I want to ask--is promoting wines and a wine club different than promoting books? Is anything surprising you about it? Awww… you’re so sweet, thank you! Being a wine consultant actually fits perfectly with my skill set as a publicist. I plan events for a living, so coordinating in-home wine tastings is a natural fit. And I LOVE wine, so talking about wine with friends, family, and new clients is pretty similar to talking with the media, booksellers, and readers about new books we’re publishing. And to be honest, I’ve found that many avid readers are also avid wine lovers, so the two go hand in hand. Except now instead of bringing a bottle of wine to my book club conversations, we can have a fantastic wine tasting! What’s the one mistake people make when choosing a wine? I’ve been guilty of a bad habit that I think many others have of buying the same varietal all the time, like only selecting chardonnay or Cabernet sauvignon, rather than trying different types of wines. Our pallets change, our moods change, our eating habits change, so you might be missing out on a great type of wine that you’ve avoided in the past. Also, not thinking about how wine pairs with food and selecting a wine from your wine rack that complements and accentuates the meal, rather than grabbing the first bottle you see. So tell us three great wines everyone should have in their house right now? An excellent question! 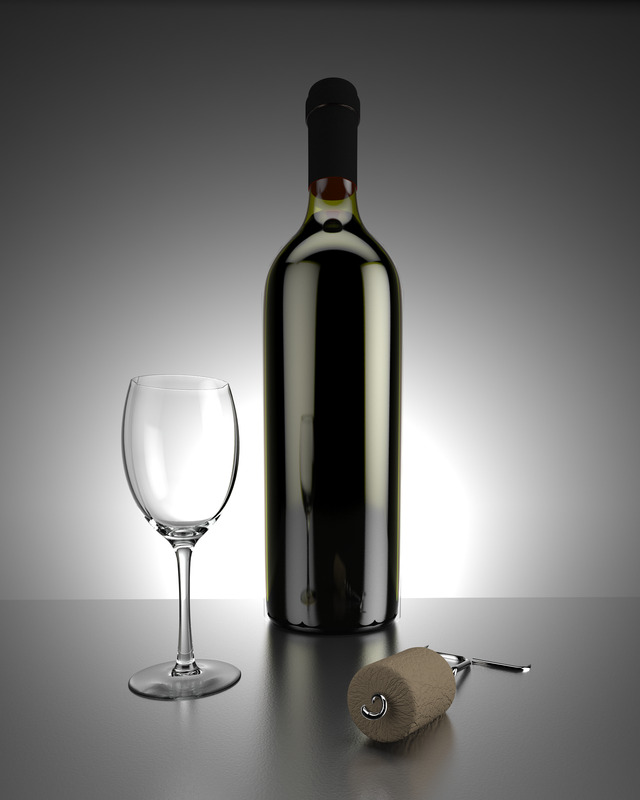 The most important thing for wine buyers to think about is everyday wines, weekend wines, and special occasion wines. The everyday wines are within the $12-16 price range, and add excitement to even the simplest of meals from Chinese takeout to mom’s favorite recipe. The weekend wines are in the $17-24 price range, and these are wines that pair nicely with a more leisurely-prepared meal, a higher quality wine that can take a special place of honor on your table. And the special occasion wines are typically $25-40, wines that you keep in your wine storage rack for a birthday, anniversary, the boss coming to dinner, or as a gift. You should expect fine quality, great taste, and lasting pleasure on the palate. You didn’t ask how you or your readers can host a wine tasting! It’s easy entertaining – you invite 6-12 wine loving friends and I take care of everything else. The cost is $50 and includes 6 full bottles of our latest artisan wines. I do a guided tasting and your friends will have a chance at the end to pick their favorites, and those wines will ship immediately from our Napa winery. And now I’ve started doing Skype wine tastings, for any of your readers in an area that I don’t travel to. And if you or any of your readers are interested in learning more about pouring wine, I’d love to tell you more about it. Like my Facebook page (www.facebook.com/wineshopathomekellybowen) to keep up on our latest specials and new available wines, recipes, and fun wine tips! Stewart O'Nan is a genius. 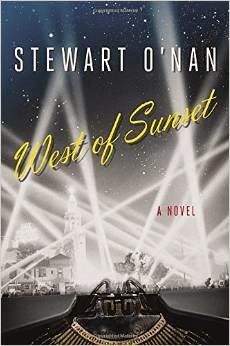 He's the author of some of my favorite books on the planet, including Emily Alone, The Odds, and now his latest, West of Sunset, an extraordinary novel that focuses on the last few months of Fitzgerald's life, as he struggles to find his footing with Hollywood, Zelda, Scottie, and Sheila Graham. 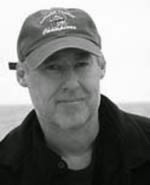 Everyone from The New Yorker to the Boston Globe revered the book--and so did I. I'm always happy when I get to talk to Stewart, so this is really a pleasure post for me, and his answers formed an essay, which also made me happy. A million thanks, Stewart! I wanted to write a lush, romantic book but at the same time have that fear of pennilessness always with Scott. That's the split I see there: it's the Golden Age of Hollywood, and everyone around him is famous and rich--Dorothy and Alan are fresh from co-writing A Star is Born, Bogie's on the cusp of stardom, S.J. 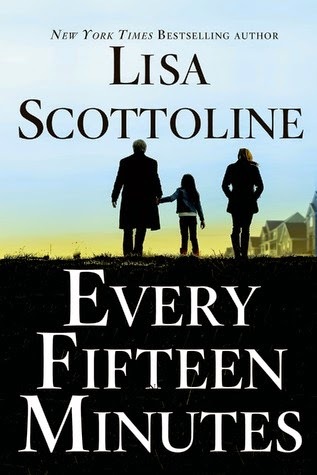 Perelman's writing the classic Marx Brothers films, Ernest is the most famous writer in the world, and here's Scott, and they all know from his Crack-Up essays in Esquire that he's dead broke and trying but continually falling off the wagon. In several ways he's a fish out of water in Hollywood, which is what he was his whole life. At least at The Garden of Allah, he's surrounded by friends who've known him since 1920 back in New York, and who know how talented he is, and what a sweetheart he is when he's sober, and how hard it's been for him since losing Zelda. Before this, in North Carolina, he was living alone in hotels and drinking his days away, borrowing money from Max & Ober. Now he's got a shot at fulfilling his responsibilities and getting out of debt. All he has to do is hang on to a job, and while he has his ups and downs out there, ultimately he manages to pay off everyone he owes and even has enough to buy the time to start on The Last Tycoon. What surprised me the most in my research was that he worked on Gone With the Wind. I had no idea. Or that he wrote a screen version of Babylon Revisited and had a meeting with Shirley Temple and her mother about it. Or that at the same time Dorothy Parker, Aldous Huxley and James M. Cain all worked on the same floor there in the Thalberg Building at MGM. Also that Scott was on the lot while they were shooting The Wizard of Oz. Or that Joan Crawford specifically asked for him to be her screenwriter on several projects. Or that he went to the Oscars one year. That he had to hock his car to pay rent. And all the nightclubs and restaurants, the months Sheilah arranged for him to live on the beach in Malibu in what was then called the Movie Colony, their initial dinner with Scottie, their trips to Catalina. And of course all the amazing settings there in L.A., from the old back lot to the Palisades to the drought-stricken valley. The scenery's big and elemental. When we think of Fitzgerald, we think of the writer or the alcoholic, the romantic, but he was also a husband and father. He was terrible with money, and from 1924--before Gatsby!--till his last years in Hollywood, he was constantly in debt. Yet he never neglected his responsibilities to his family. When Zelda is first hospitalized in 1929, he becomes in essence a single parent to Scottie, and does his best to provide for her. And though, by the time the novel begins, Zelda's been in Highland Hospital for several years, she's still the most important person in his life. As I say in the book, he would never deny that they were meant for each other, even as he recognizes that she's deeply ill. He's still devoted to her, though in most respects their marriage is over. Impossible as he knows it is, he wants to somehow repair the damage that's broken the bond between her and Scottie, and arranges for them to take family vacations during Zelda's furloughs from the asylum. He keeps trying to do what's right in an impossible situation, and eventually it breaks him down. Bogart and Mayo Methot serve as a bit of a chorus. They were famous for their drinking and fighting at the Garden of Allah, and I thought they'd be a good foil--along with the other odd couple of Dottie and Alan--for the brand-new couple of Scott and Sheilah. Their wisecracking helps undercut the melancholy, and reminds the reader of the blending of the real and movie worlds that's taking place there. Bogie's voice came naturally to me, since I've seen everything he's been in--and I think it's familiar to many readers as well. For how the two banter, I borrowed the style of The Thin Man films. No secret to how I write: slowly. 9 to 5, and I try to get a single double-spaced page a day. Try to hold onto whatever moods the POV characters are in and follow whatever direction the action is going. Stay close, just try to understand what's on the characters' minds, what's important to them. Sit there and try to figure out what's next. Patience is all. And knowing you're going to fix it later anyway. Right now I've just finished a new novel about Jerusalem in 1946. It's about identity and political violence and fear and trust. So now I'm obsessed with starting something else. Stephen King says a book takes you away, and that's what I'm looking for, a new project that will take me somewhere unexpected, somewhere I've never been. Thanks again for all your kind words, and for taking the time to have me on the blog. Now I'm off to Pitt-Greensburg to sing for my supper. I could talk about how kind and funny and warm Lisa Scottoline is. Or how famous. Lisa's books have solidly landed on all the major bestseller lists including The New York Times, USA Today, The Wall Street Journal, Publisher's Weekly, Washington Post, and The Los Angeles Times. 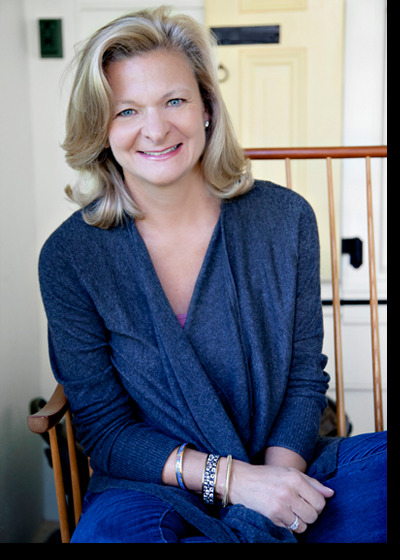 One of her novels, Look Again, was named a"One of the Best Novels of the Year" by The Washington Post, and one of the best books in the world as part of World Book Night 2013. Or I could take about her newest novel, Every Fifteen Minutes. But how about I let these four starred reviews tell you something about it? I'm so thrilled and honored to have Lisa here. Thank you, thank you, Lisa! Q: I always want to know what sparked a particular book. What was the moment when you knew this was the subject you were going to tackle? A: This book grew out of a very personal part of my life, one so personal that I can't reveal all of it, or I'll be sued - or stalked! All I can say is that I really do believe that I was very close with a sociopath. This was not a murderous person, but rather a person who just merely used people, without any personal feelings for them. Like everybody else, I look back on my life and think about the mistakes I've made and why I made them, and my relationship with this unnamed person gave me the idea for EVERY FIFTEEN MINUTES. I think it's true that I write what I want to explore, and for some reason, I don't explore it fully unless I find myself with 350 pages to fill. So I began to wonder if the person in my past was a sociopath and started to explore sociopathy. I thought to myself, I'm intelligent and trusting, at least on a good day, with a fair amount of caffeine. And I realized, that's what I want to write about, a good and honest person who gets fooled by someone who simply doesn't see him coming. I bet I’m not the only person this happened to, and by the time I finish this novel, I will have answered a lot of questions about my own life and soul. And I think it will ring true for a lot of people, as well. Q: How brave and difficult was it for you to write from the mindset of a sociopath? Was there ever a moment when you thought, "Oh, I can't do this?" What was your research like? A: What a kind question, and it doesn't surprise me, coming from you. I say this because I think it's a new way to think about what is brave, and I feel that so many people, especially women, are braver than they think, especially when they look back at their life and realize what they did that got them to a particular place, whether it's for good or ill. I really believe the unexamined life isn’t worth living, as you can tell. So it was a little bit brave for me I guess to look back and really be harder on myself, but truly when I went to write this book, I made a decision that I did not want to spend the majority of the time in the mind of the sociopath. If you've ever known one, and I believe I have, it's a dark and lonely place. What I wanted to do instead, I think what I did in EVERY FIFTEEN MINUTES, was to write it from the point of view of the sociopath’s victim. I wanted to be the normal person, like I was, and try to explore in print, why we don't see them coming. I am reading with fascination the accounts of Robert Durst and I watched HBO's The Jinx, because I think Durst was a classic sociopath. I'm aware I'm not an expert, but I've done enough research to feel confident about saying it, and what interests me about the Durst story is all the people he fooled along the way. And this is a part of the novel that is really a construct because I didn't want to write about myself per se, but I tried to think about what is the perfect antagonist for a sociopath, and the answer is the main character in the book, who is a psychiatrist with a secret anxiety disorder. As I think I said in the book, hopefully more subtly than this, the brain of a sociopath has an amygdala, which is the brain's emotional center, that is really underactive, and in thermal imaging, it looks black and bottomless. In contrast, the brain of an anxious person has an overactive amygdala and comes in fiery red colors on thermal imaging. So I couldn't imagine a better hero for this book than this doctor, and since I think I certainly have levels of anxiety in me, it was like writing what you know. LOL. Anybody who writes feels insecure almost all the time! Q:You have this rare ability to keep the tension so high that it sometimes becomes unbearable not to rip through the pages (which would ignore the pleasure of your writing). How do you build the suspense? Do you map it out? Do you just have an instinctive ability? A: Thank you so much for this lovely compliment, and honestly, it's something I really work at and I hope I succeed. I think the secret, at least for me, is to write without an outline, so I never really know what's going to happen and neither does the character. We both find it out together. Also, and I know a lot of your blog readers are fellow writers, I would add that sometimes I've noticed that I've improved at building suspense when I start to really think hard about what supporting characters would do, and that would include the antagonist as well. In life and in fiction, all of our actions affect other people, and people are always reacting to us. And if you really fully think about the ripple affects your character's actions have on the supporting players, then you will start to set things in motion that will build tension. I've noticed this because frequently, a lot of bad things are happening to my character at the same time, and that is no more true than in EVERY FIFTEEN MINUTES. Because he's being toyed with by the sociopath, it begins to effect him at work, that it affects his home life and his state of mind; I've actually found this to be true my own life. For example, there never seems to be anything bad happening in isolation, but something bad impinges on everything else around, and it all goes to hell in a handbasket. I always think of the Morton's salt saying, “when it rains, it pours.” I think life is like that, and I think when you have all of these things crashing down in a character's life, the reader will begin to feel very involved and sympathize with him, because I think we've all been there, at one time or another. Q: I also want to say that I had no idea how this story was going to spin out--the surprises were fast and furious and startling, and you kept the various threads spinning. Did anything in the writing surprise you? A: Thank you so much for saying so, and the truth is, everything about it surprised me. I know surprise ending isn't supposed to be a surprise to the author, but this one was! And so much was happening in the novel, that I thought that this would logically happen. Also, I've been writing female protagonists for almost 25 years now, so writing male protagonists is new to me. I'm still trying to figure out the difference between writing women and men, just as I'm trying to figure it out the difference between women and men, and life. The interesting thing about this novel is that even though this character is a man, he's no action hero. He's a thinker, not a doer, and in many ways, he overthinks things. That's a wonderful trait in a psychiatrist, but less so in a man under attack, and so for me I really clued into that aspect of them, since I tend to overthink and edit myself all the time. I think a lot of women do, and I'm doing less of it as I get older, that's why I'm so honest in writing this now. (Also caffeine helps). But bottom line, what I clued into in him was that he needs to make a journey from being too thoughtful and too worried to being more active and impacting his environment more. As soon as he starts to do this, it causes even more things to happen, which is also to the good. Q:What's obsessing you now and why? A: I'm obsessed right now with mental illness, and the way we treat it and the ways we don't in this country. It began with this book, and you know when used get interested in something, suddenly you see it everywhere? That's what's happening to me now. Not only do I think I'm seeing sociopaths everywhere, but there is a very heartfelt part of this book, which involves our hero the psychiatrist treating a boy who exhibits OCD. That research for me was so fascinating and so moving, and I've come to dislike the term when people without the disorder say things like, “I'm so OCD about that.” Because they have no idea how really tormenting OCD can be. Similarly, I've become so interested in the intersection between mental illness and criminality. Because we don't treat mental illness adequately, we end up criminalizing conduct that arises out of mental illness. There are so many examples of this we can’t even begin to say them. School shootings are the most heartbreaking example. And I've also learned, in my research, that the stigma about mental illnesses and emotional illnesses is so real that it prevents people from getting treatment and because we don't want to talk about it, on the macro level, it prevents us from funding it adequately. There's no reason why everybody shouldn’t get an annual physical and an annual mental health exam. If we treated it just like any other illness, we could get people to help they need, alleviate suffering, and make us all safer as a society and a country. Q: What question didn't I ask that I should have? A: you asked everything, and these are such good questions that my brain is already hurting. I hope to see you soon, thank you so much for having me on your blog!